Adam Nimoy thinks it would be pretty cool if his father’s most iconic role was digitally restored in the Star Trek universe. You know, like how Rogue One did with some of Star Wars’ most familiar characters. In an interview with Trek Movie, Adam Nimoy, the director of the upcoming Deep Space Nine documentary, was asked how he would feel if Leonard Nimoy was digitally added to the upcoming CBS show Star Trek: Discovery, or the fourth film in the rebooted movie franchise. Nimoy said he was more than open to the idea. He said was impressed with how Rogue One brought back Grand Moff Tarkin, and would enjoy seeing his father given the same treatment. Lucasfilm made headlines when Grand Moff Tarkin first appeared on-screen in Rogue One, to some degree of controversy. Audiences wondered whether it was ethical to essentially bring someone back to life on film using special effects, even though Lucasfilm got permission from Cushing’s estate to use his likeness. Since then, there have been discussions of how (and if) this technology should be used again. 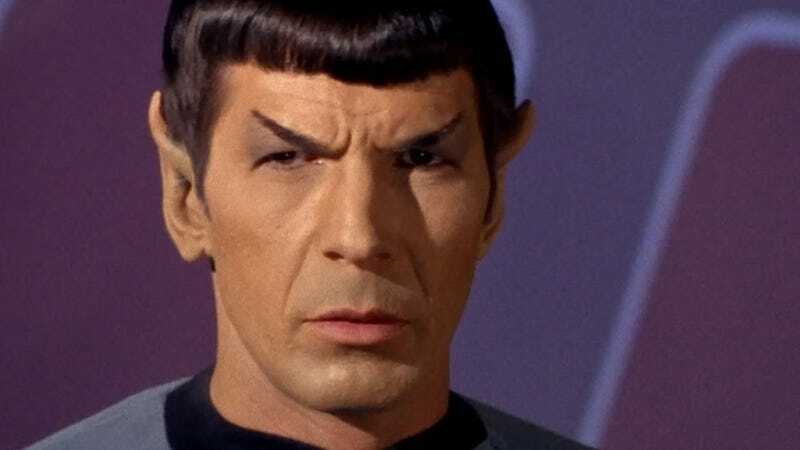 It might not make sense to bring Leonard Nimoy’s Spock back in the rebooted film series, since he already received a respectful send-off in Star Trek: Beyond after the actor’s death in 2015. However, there is a case to be made for Discovery, since it takes place while Spock was serving under Commander Pike on the Enterprise. Unfortunately, it might take awhile for that to happen. Television shows typically have smaller budgets than feature films, and Rogue One producer John Knoll said the process of reviving Tarkin on-screen was expensive and time-consuming. In any case, it’s good to know Leonard Nimoy’s son is on board, no matter what happens.